Trees and shrubs are great options for larger focal points on your property. Whether you prefer an evergreen or deciduous variety, our trees and shrubs establish a year-round presence for an authentic Northeast landscape. 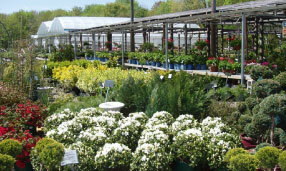 Our vast selection includes many varieties of Boxwood, Holly, Hydrangea, Lilac, and Rhododendron, in addition to Arborvitae, Dogwoods, Flowering Cherries, and Maples of various maturities. 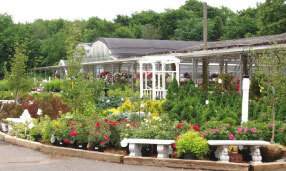 In addition to flowering shrubs and trees, we also offer an array of fruit-bearing plants. Many varieties of blueberry, raspberry, blackberry, and currant bushes are available in the spring, as well as grape vines. Our premium fruit trees include apples, apricots, cherries, nectarines, pears, peaches, and plums which yield sizable fruit. Fruit-bearing plants not only look great in your garden, but offer a sweet treat as a reward. Looking for deer resistant shrubs or hummingbird and butterfly attractors? Our experts are fully prepared to help you choose the perfect trees and shrubs for your landscape based on your personal preferences and property needs. View Our Tree and Shrub List (PDF)!